Migos was at Bloomingdale's, where the group debuted their CULTURE II Collection. 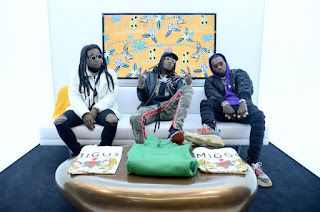 Migos later hit the stage as the musical guest artists on "The Tonight Show Starring Jimmy Fallon" where they performed their latest single "Stir Fry." Migos is planning a huge bash to celebrate the release of CULTURE II at Scores in downtown Manhattan. 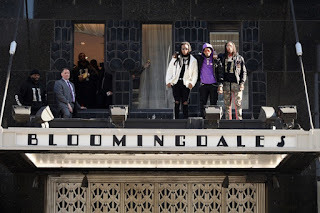 Take a look at some images from their in-store appearance at Bloomingdale's. The rappers just dropped their new album CULTURE II, a 24-track effort which features guest appearances from Drake, 21 Savage, Big Sean and others.